The Illinois Department of Public Health is urging students at the University of Illinois Urbana-Champaign campus to get revaccinated following a mumps outbreak. Of the state’s 87 mumps cases this year, 69 have been connected to the campus. 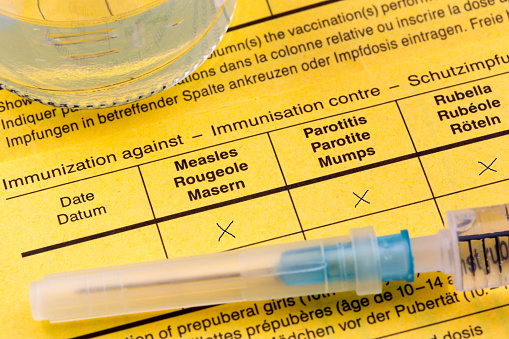 Unlike other recent outbreaks of vaccinated diseases, which were linked to those who had never received vaccines, most of the students who came down with mumps were properly given the MMR (measles, mumps, rubella) shot on schedule. The CDC recommends that two doses of the MMR vaccine be administered over a person’s life: the first shot between 12 and 18 months and a second booster shot between the ages of four and six. It is hoped that giving students an additional MMR booster will help control the outbreak. The MMR vaccine is highly effective at preventing mumps but, as the recent cases show, it does not offer 100% protection. The University’s summer semester finishes on August 7, with the fall semester starting August 24. It is hoped that students will use the three week space to get a MMR booster before returning to campus. Mumps can be spread by saliva or mucus. The most common means of transmission are coughing, sneezing, touching objects with unwashed hands and sharing cups or utensils. Once infected, people come down with fever, headache, muscle ache, fatigue, loss of appetite and swollen or sore salivary glands. It takes up to three weeks following infection for symptoms to develop, but many can acquire mumps and spread it without showing signs. In addition to urging students to get an additional booster shot, health officials are encouraging additional safety precautions. These include standard measures like taking care to wash hands frequently, not sharing utensils or cigarettes and avoiding contact with others when ill.
“Mumps Outbreak at University of Illinois Leads to Call for Re-immunization,” Chicagotribune.com, August 4, 2015; http://www.chicagotribune.com/news/local/breaking/ct-mumps-outbreak-university-of-illinois-met-0805-20150804-story.html.